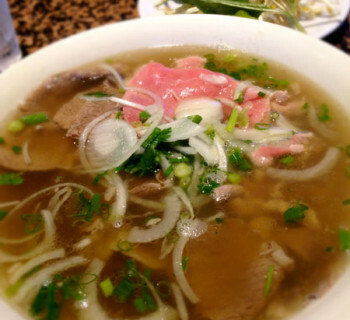 If you plan to open a pho restaurant, you will most likely need an architect to help you. 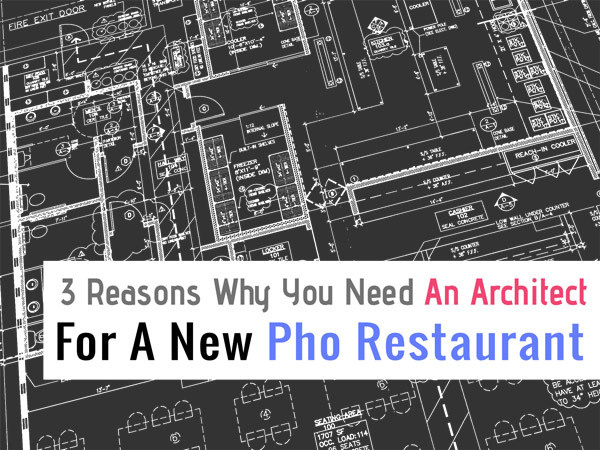 If you plan to update your existing pho restaurant, you will most likely need an architect as well. They inspect and issue you permits to allow you to open for business. Therefore, meeting all their requirements is essential to whether or not you'll be able to successfully open your new pho restaurant. But what does it have to do with an architect? Let's first look at the process. 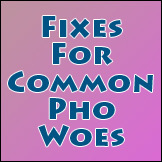 I get contacted all the time from aspiring pho restaurateurs who think that if they move into a existing restaurant space, make some "minor" changes, then they can just open for business fast for very little cost. Invariably I advice them that this is a wrong approach and will create many problems later. For some reason people convince themselves that they can define their own level of changes and call them "minor" as they see it. In their mind "minor" changes don't need inspection and permits. One aspiring owner thinks changing out a stove or dishwashing machine is a "minor" change that does not need plan inspection. Another thinks putting in an in-ground grease trap in the parking lot is not part of the restaurant and therefore does not need plan submittal, permit, license and an inspection. Misconceptions like these will become a huge and costly issue when the soon-to-be owner is already far into the process. Oftentimes this realization is long beyond lease negotiation and signing, which results in added out-of-pocket costs and added time to the schedule. So if you plan to open a pho restaurant anywhere in North America, check with local regulatory agencies, and tell them what you plan to do. This communication will help prevent many future surprises for you. Meeting all regulatory agency requirements is one of many reasons why you need an architect. What Exactly Can An Architect Do For You? In one sentence: A good and experienced architect can help you smoothly navigate the complex and confusing local and federal regulatory codes and agencies. He can prepare proper drawings that meet the agencies' required format, communicate what you want to do to plan reviewers, and follow proper procedures and process to obtain permits for you. Alternatively, if you can do the 3 things mentioned above, if you have the time, the desire and the tenacity to do all this on your own and skip the architect and expenses associated with hiring an architect, then you can certainly do it on your own. But be forewarned: the learning curve is steep, the subject matter is very complex, and the time commitment is huge. Even if you have an engineering background like me, I don't recommend this route to anyone. Do not skip the architect. In most cases, I don't think it's a wise investment of your own time to deal with regulatory headaches trying to save a few bucks by not hiring an architect. A good architect is not a pho restaurant consultant or advisor. He knows architectural codes and he can navigate regulations. 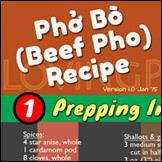 But he won't know, or desire to learn, how to properly design, operate and run a pho restaurant. 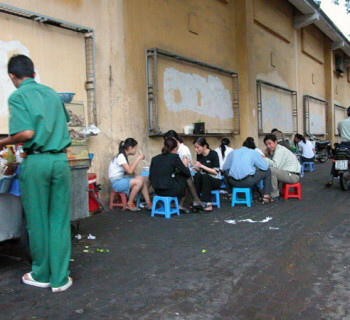 Even if he has done pho restaurants before, each concept is different and the architect is rarely involved in the restaurant's operational phase and its aspects. His job normally ends somewhere during the construction period; sometimes even before construction starts. 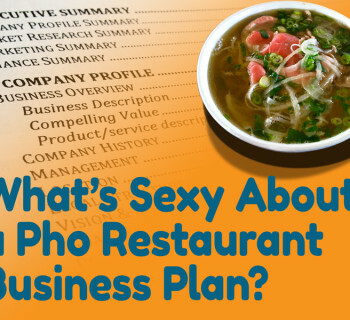 This means, with a given dining room layout and kitchen floor plan, you as the owner still need to know what you're doing with your pho restaurant business, how equipment can impact operation and efficiency, or how training and procedures can influence customer service, etc. 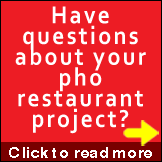 Remember, the road to open your pho restaurant requires assistance from many different professional disciplines. The owner should still be the one who steers the ship. And an architect is an important part of the crew. In the next article, I'll share how to select an architect and how to best collaborate to get what you want for your pho concept. Have a comment? Please share it in the comments section below. Architects can be very helpful with rules and regulations, and what is structurally required. They can’t be much assistance to how you will run your restaurant – that is for sure. Great tips and advice, thanks for sharing. @Laurie: Thanks for leaving a comment. Very good point you made. I’ve run into a few owners who left things up to, or depended entirely on, the architect to draw the plans. What horror stories.